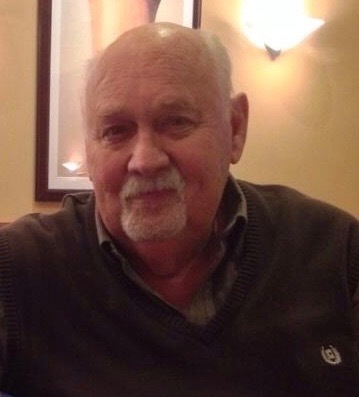 Bill Van Brunt, of Nisswa, MN, passed away on Tuesday, March 26, 2019 at the VA Hospital in St. Cloud, following a rather short illness related to heart disease. As a family, we all had the opportunity to reminisce about our numerous moves, fishing, camping, cars, dogs, and giggling. Sharing stories from the past as well as hopes for the future. A visitation for Bill will be 12:00, Friday March 29, 2019 at Brenny Family Funeral Chapel in Baxter, MN, with a luncheon to follow. Bill was born March 30, 1934 to David and Esther (Rorman) Van Brunt in Fairmont, MN. Bill married his sweetheart, Eva C. Roberts on March 6, 1954. Bill and Eva raised three lovely daughters, Jodie (Myke) Zurn, Heidi (Gene) Pehrson and Colleen (Brian) Scholl. Grandfather to Jeromie & Bryan Hemmer, David & Adam Krauss, and Erich & Katie Scholl; great-grandfather to four. Bill was never satisfied with the ordinary-after high school he joined the Air Force and had the opportunity to travel to Germany, Africa, Holland, Texas, South Carolina and California. After the Air Force, he and Eva continued to travel, making Texas home in 1978 and again buying a winter home in Texas in the 1990’s. They traveled to Alaska, bought and sold 13 motorhomes, a resort in Brainerd, and lived in 28 different homes. Spending the last 30+ years in Nisswa on Lake Edna. Following her death in 2009, Bill had the pleasure of meeting Normalee Ponsness, with whom he spent the last nine years of life traveling and enjoying his life. Bill was a Mason and a member of the American Legion Post 627 in Nisswa. Bill was preceded in death by parents; wife, Eva Van Brunt; grandsons, David Krauss and Ethan Hemmer; and siblings, Milton, Jerry, Edna, Lois, Viola, and Fern.